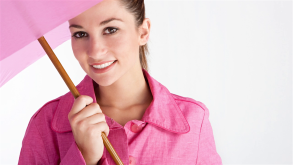 Women’s raincoats can be a chic outerwear addition to every wardrobe. David Archer, Co-founder of JoshuaDAVID, a multi-brand specialty boutique shares his style advice for women during the rainy season. This Montreal based boutique offers a compelling assortment of women’s fashion curated each season to compliment an enticing blend of top contemporary designers and on-trend collections from their namesake label. JoshuaDavid offers an approachable shopping experience for all of their clients local clients. Now, thanks to their newly revamped shopjoshuadavid.com e-commerce site, you have the ability to shop their impeccable selection from the comfort of your own home, wherever you are.